Crossfire Protein delivers exceptionally high quality peptides with a staggered absorption profile to optimise anti catabolic protection and ensure sustained muscle recovery. 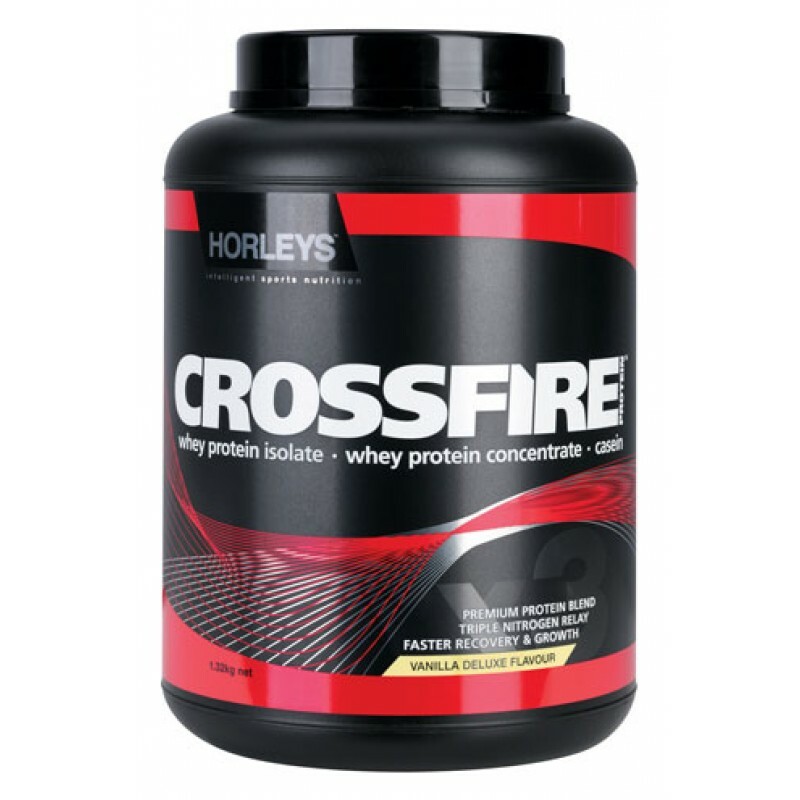 Exclusive to Horleys Crossfire Protein, the Triple Nitrogen Relay (TNR) makes it the ideal choice for those looking for a complete protein supplement, targeting both nutritional and physiological needs. Boosted with 12 essential vitamins and minerals, you have all the nutrients you need to saturate the metabolic pathways involved in muscle synthesis. The Triple Nitrogen Ratio is designed to offer the benefits of a full spectrum protein combined with a slow release peptide source. You get a precise ratio of amino acids from three superior protein sources: micro-filtered cross flow whey protein isolate, ultrafiltered whey protein concentrate and enzyme derived casein. 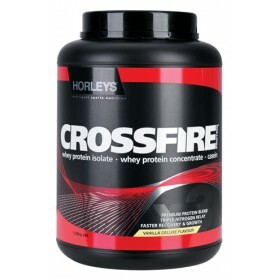 Thanks to the inclusion of high Glycomacropeptide (GMP), immunoglobulin and lactoferrin containing whey protein, Crossfire does more than just stimulate muscle synthesis. The unique bioactive whey fractions have roles in improving immune function and gastrointestinal health, and have been shown to exhibit anti-viral and anti-microbial activity as well as boosting cardiovascular health and bone mineral density.